Blog news - new and improved! Max is now blogging at Wordpress.com under the name The Wild Blue Ponder (or click on the tab above for "Blog - Wild Blue Ponder"). 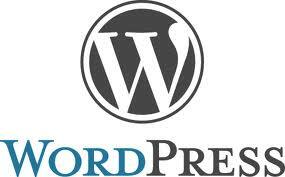 Wordpress offers lots of great tools for blogging that Max is enjoying very much. Please check it out and leave a comment to tell Max what you think. The old blog is still available (see tab above for "Blue's Tripod Blog Archive") but probably won't be updated anytime soon. 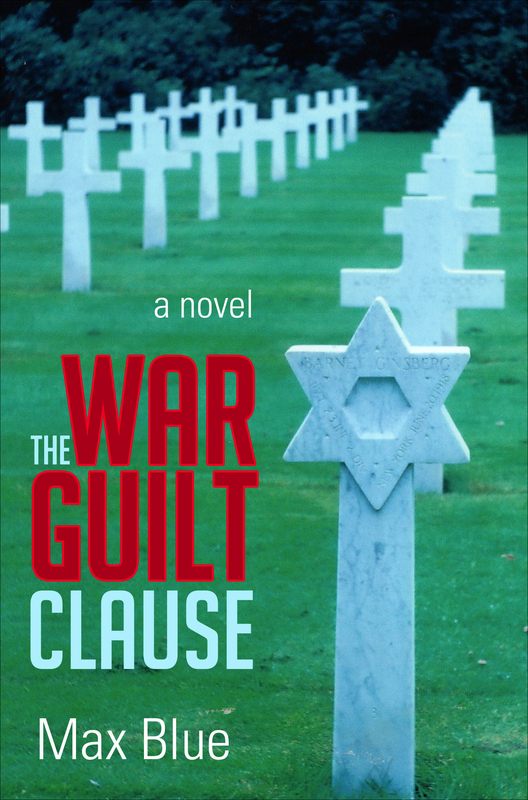 The War Guilt Clause continues the story begun in Times, set against the backdrop of the world-changing Paris Peace Conference of 1919. Scheduled for release on 10/8/2013 from Tate Publishing, it is available for pre-order now in paperback or PDF ebook. For a signed paperback, contact Max directly. Count is due out later this fall, and tells the story of the mysterious mentor of Booker T. McCann, first encountered in For Those in Peril on the Sea. Max has taken the plunge into e-books. 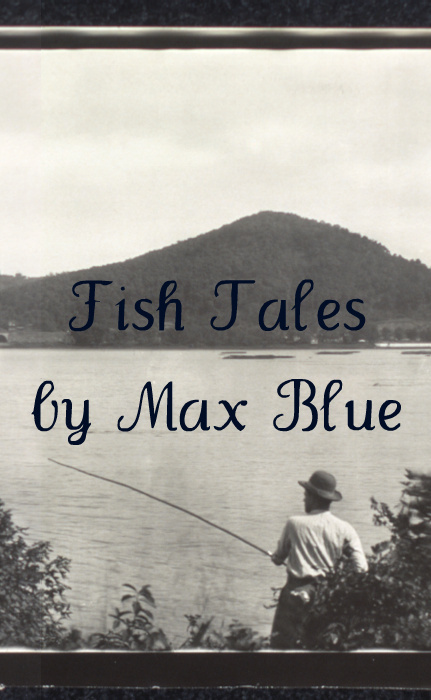 Check out Fish Tales, a collection of not-so-tall tales about Max and Liddy's adventures with rod and reel. Currently rated 4.8 out of 5 stars and available exclusively on the Amazon Kindle for just $2.99 (or free to borrow to Amazon Prime members). Whether you fish or not, you'll find something to enjoy in Fish Tales! On Max Blue's desk sits a small gold baseball, about the diameter of a thumbnail. A raised red letter B is welded to one seam and above it is engraved 1926. Below the B on one side is engraved I.I.A.C., on the other side - CHAMPS. Elsewhere on the ball you can find: J. FRITZ- CAPT. In 1926 the Bradley College baseball team in Peoria, Illinois, won the Illinois Intercollegiate Athletic Conference baseball championship. Twenty-four-year-old John Fritz played third base and captained the team. That was Jaybird and Paul Fritz's (Max Blue's) dad. The first major league baseball game Max remembers (he was 7) was at Sportsmans Park, St.Louis in 1936 when Carl Hubbell of the Giants squared off against Dizzy Dean of the Cardinals. 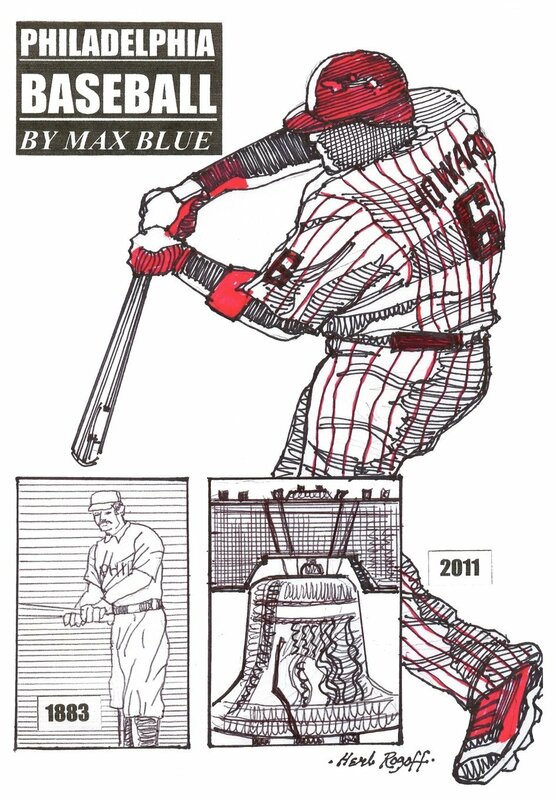 Max Blue wouldn't be born for almost 50 years but he was already hooked on baseball. If you don't believe it, check out baseballguru.com. Or read Max's book God is Alive and Playing Third Base for the Appleton Papermakers. There are people who question the importance of baseball. Not Max, and not A. Bartlett Giamatti who wrote a book called The Greenfields of the Mind. Giamatti wrote: Of course there are those who learn after the first few times. They grow out of sports, and there are others who are born with the wisdom to know that nothing lasts. They are the truly tough among us, the ones who can live without illusion or without even the hope of illusion. I am not that grown up or up-to-date. I am a simpler creature, tied to more primitive patterns and cycles. I need to think that something lasts forever, and it might as well be that state of being that is a game; it might as well be that, in a green field, in the sun. 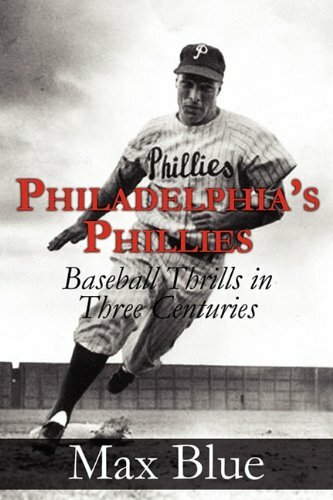 The Phillies have played baseball for 128 years, and a summary of every one of those years is documented in this book. It's all here -- the sublime, the very good, the good, the bad, and the hard-to-believe, Harry. October 23, 2010. On the 17th anniversary of Joe Carter's walkoff homerun to give the Toronto Bluejays a World's Series triumph over the Philadelphia Phillies, the Phillies lose again, this time to the San Francisco Giants on a walkoff strikeout. Max Blue has it all covered. November 12, 2008: The improbable has happened - the Philadelphia Phillies are the champions of U.S. Baseball! 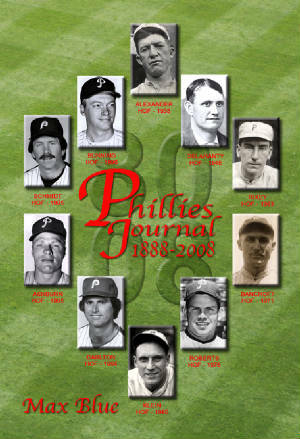 They won the World's Series by beating the Tampa Bay Rays four games to one, and Max Blue's Phillies Journal 1888-2008 has limericks for all the games, plus commentary. We said, "Go Phillies!" And they did.